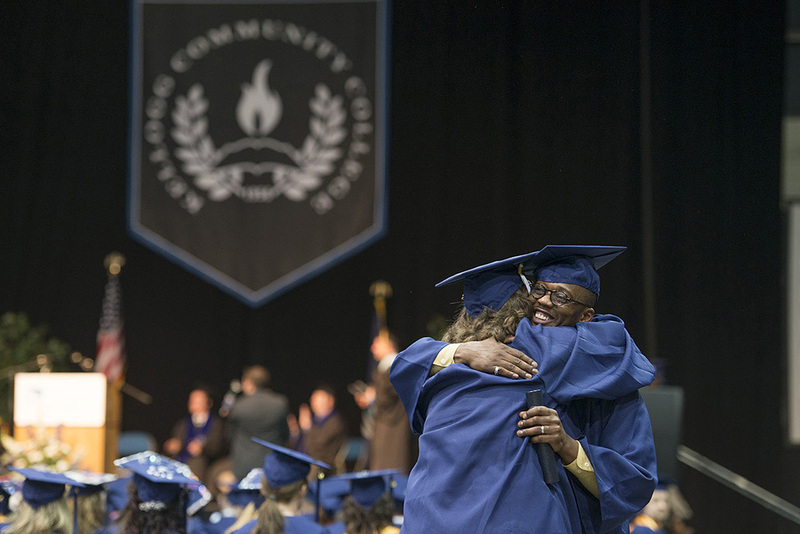 Kellogg Community College’s 2016 commencement ceremony begins at 7 p.m. Thursday, May 12, at Kellogg Arena in downtown Battle Creek. As usual, we’ll be there to take photos, which we’ll then share on KCC’s Facebook, Instagram and Twitter pages. Want to celebrate with us? Share your commencement photos with the hashtag #alwaysabruin and you could see them on one of our pages! Below are links to several of the KCC commencement photo galleries we’ve posted on Facebook since 2012. If you like these and want more, we also post photo galleries from KCC’s Dental Hygiene, EMS, Nursing and Police Academy pinning and recognition ceremonies each year, as well as galleries from each year’s commencement breakfast and rehearsal events and other activities. Click here to browse past photo galleries on KCC’s Facebook page. KCC’s 2016 commencement program will include addresses from KCC staff and trustees as well as remarks from 2016 KCC graduate Dakota Glassburn and KCC President Mark O’Connell. The commencement ceremony, in which approximately 400 are expected to participate, is open to graduates and their guests; no tickets are needed. Arena doors will open to guests at 6 p.m. Questions about commencement may be directed to the KCC Registrar’s office at 269-565-2612.